Storyblok leverages a global content delivery network (CDN) that securely delivers data to you and your viewers with low latency and at high transfer speeds. For example, when you do an API call to the content delivery API from a server in Australia, Storyblok routes the first request to one of our main locations; either Frankfurt or USA. 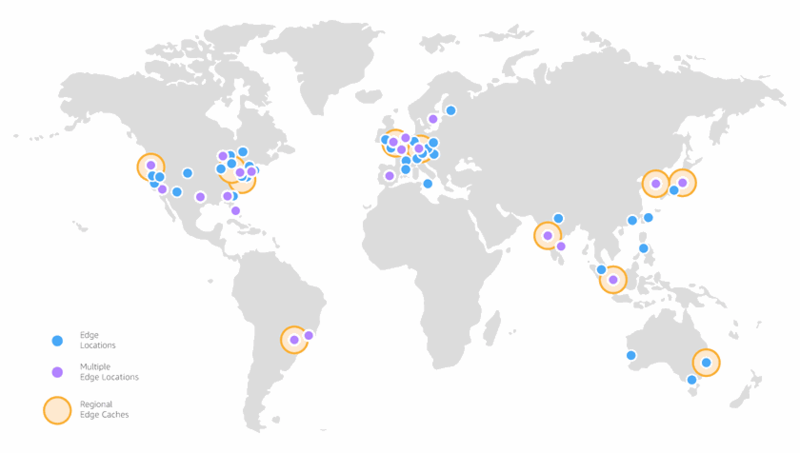 All subsequent calls are cached in the CDN endpoint in Australia and delivered with very low latency. To invalidate the caches request, you can use a version parameter as described here. Assets like images, videos and documents are kept in the CDN as long as possible and will rarely hit the origin server. If you want a custom domain for your assets, we recommend using a CloudFront distribution as described here.